I’ve always been that girl who would look forward to the stationary shop before each new school year. The one who buys a million different files/folders/pads of paper even though I would never fill them up. And the one who had 10000 different pens in every colour under the sun. As I’m no longer a Student (cry) I don’t have a reason to go on the annual stationary shop. However, the fact I need a pen and paper for work gives me the perfect reason to stock up on sticky notes, pretty notebooks and pens. 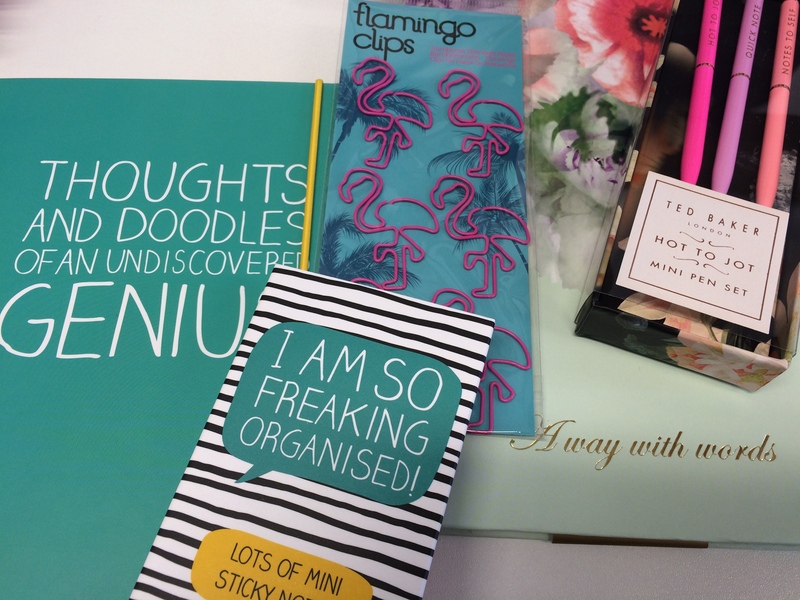 This is where Flamingo Gifts tick every box for me – they have a huge range of stationary which would make a great gift (or treat for yourself!). Flamingos are my favourite animal so when I saw these Flamingo Paper Clips* I knew I needed them in my life. They’re £2.99 for a packet of 6 which is probably a little pricey but they are SO DAMN CUTE. I currently have a stack of papers on my desk held together with one and it makes me so happy… Im sad, I know. The patterns on Ted Baker products are so pretty so when I spotted their stationary I fell in love. I went for a set of Ted Baker pens* and a gorgeous notebook*. Both would make a lovely gift as the attention to detail is second to none. Make way for the perfect notebook* for me by Wild & Wolf(an undiscovered genius obviously). It’s A5 which is the perfect size for taking into meetings at work and it’s cute so why the hell not. I went for this book of sticky notes* for the same reason.. SO CUTE and I can’t wait to start using these at work – reserved for important notes of course. It’s worth having a browse through the Flamingo Gifts website as they have a huge range of gifts. I know I’ll be continuing my browse as I have a few Birthdays coming up and it’s 1p delivery! (they have a boyfriend section which is a God send)! *I was gifted these items by Flamingo Gifts, my opinion is no way influenced by this. One of the best things about being a student was how we could easily justify any and all stationary purchases! I’ve been out of uni for too long now and I still can’t help myself, picking up notebooks and pens. I admit I haven’t found a use for all of them, but I’m trying hehe! Those Flamingo paper clips are too much fun, I might have to get them just so I can pop one on my lab coat pocket! I wish I could have found cute stationary like that when I was shopping for school! I love going on a spending spree in a stationary shop! Some of these things look so cute! 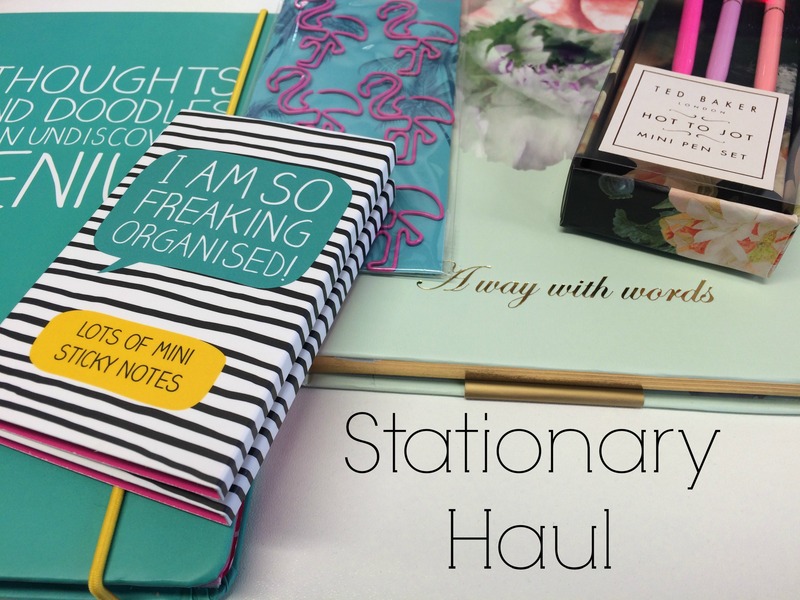 I love stationary too! I’ve always been the girl who buys way too many. You picked up some gorgeous bits.